BOULDER, CO--(Marketwire - Sep 6, 2012) - LocalGiftCards.com, a new marketplace that allows small businesses to sell gift cards online, now enables participating merchants to sell their gift cards on their company Facebook profile. The new feature helps businesses capture additional sales and benefit from social media consumer trends. "It's now convenient and easy for people to support locally owned businesses by sending a digital gift card to a friend's cell phone or email address right from Facebook," explained Ray Clopton, CEO of LocalGiftCards.com. "The expectation of convenience drives gift card buyers to the websites of national chains, instead of those of independent businesses. LocalGiftCards.com aims to change that trend by giving Facebook users a convenient, local option for digital gifting." The app enables small business owners to capture online gift card sales that have previously been the exclusive domain of big box stores. After installation, the LocalGiftCards.com App appears on the company's profile page. Users never leave the site to make their purchase: with one click, the customized gift card store loads within Facebook. Additionally, sales through Facebook offer a unique benefit to the merchant: when customers "like" the app on the company's profile, that business is getting free, high-quality impressions from that person's friends. "Our Facebook page is an important part of our online presence, so it's great to be able to offer this option to our customers," said Melissa Gaffney, owner of The Skin and Body Spa in Nashua, NH. "A lot of people are taking advantage of the e-gift cards. When they see the option to buy gift cards online, they are more likely to buy right then and there." 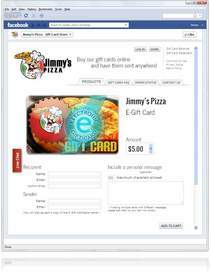 Businesses can learn more about adding this capability to their gift card program by visiting LocalGiftCards.com/Facebook. Simple solutions are available for businesses without existing Facebook pages or websites. To check out The Skin and Body Spa's gift card app, visit them online at www.theskinandbodyspa.com and click "Like Us on Facebook". LocalGiftCards.com was created to help small businesses enter the online gift card market and provide consumers with a convenient way to purchase gift cards online while supporting local businesses. LocalGiftCards.com provides small merchants with the same or better technology than what the big box and national chains stores are using. The web site is owned and operated by Smart Transaction Systems, Inc. in Boulder, Colorado. Since its founding in 1998, Smart Transaction Systems has provided thousands of small businesses with a variety of advanced technologies that would normally require a large IT investment. To learn more about Smart Transaction Systems, visit SmartTransactions.com or call 888-494-9760. The LocalGiftCards.com app loads directly into the Facebook page.